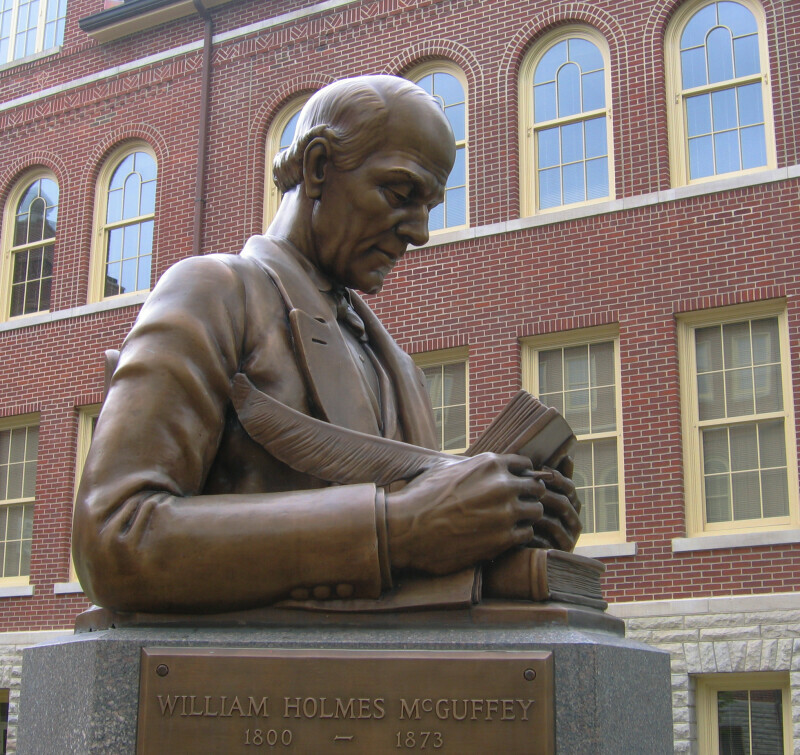 Side view of a statue of William McGuffey reading a book. The memorial is located in front of McGuffey Hall at Miami University in Oxford, Ohio. WARNING: You are about to download a 6.7 MB TIFF!